CEED Global Annual Conference is a networking and learning gathering of entrepreneurs where you have the opportunity to hear and discuss insights about the future of various industries and global trends, as well as strategies, practices and steps for successful business to be implemented today. CEED is celebrating its 10 Year Anniversary by featuring some of the most dynamic thought-provoking industry leaders at this year’s Annual Conference. The conference will take place on April 14, 2016 in Sofia, Bulgaria, where CEED opened its first center. This is CEED’s most exciting event that connects and networks 300+ like-minded growth entrepreneurs, startup founders, investors and business leaders from more than 17 countries worldwide. President and Editor-in-Chief of Inc.
Eric leads the premier print and online publication for entrepreneurs and business owners in the United States. Inc. is an authority on the fastest growing, most-innovative companies, trends and the biggest names in business as well as businesses on the rise. Jim leads a team of information technology and business experts who identify, evaluate and assess the future potential of new technologies, business models and processes to address evolving business, economic and social trends for the company and customers. Galahad is a 7th generation shoe maker and member of the Clarks dynasty. His unique heritage meant growing up immersed in a world that honored tradition and pushed boundaries of design innovation. Vivobarefoot launched in 2012 as a stand-alone brand and has since sold over 1 million pairs of shoes. Maria has in the last ten years developed Bisnode business in the region through organic growth, M&A and partnerships acquiring a profound understanding of the business environment, digital information market and local languages. She is also responsible for continuous innovation and implementation of last concepts and technologies keeping Bisnode a relevant business information provider. Anne founded the vocational training program in Berlin that teaches basic and advanced programming skills to asylum seekers to get them job ready. She was recognized by Berlingske Business Magazine as one of Denmark ́s 10 largest talents under 35 years, in the “Business Development” category. Ralph runs Guiding Capital, a non-industry specific private investment company supporting growth companies reach their potential. In 2000 he founded Housing Partners, a business providing software and service to the UK’s social housing sector. He continues to support the company and serves on the board. Jaka leads D.Labs from London, a technical cofounder company – specialized for supporting startup founders in their early-stage of product and customer development. Jaka, an entrepreneur, consultant and mentor to a wide variety of tech and digital initiatives across the globe is also Deputy Program Director, MSc Strategic Marketing, Imperial College Business School. Peter co-founded CEED 10 years ago within the Small Enterprise Assistance Funds (SEAF), a venture capital firm focused solely on emerging and frontier markets. 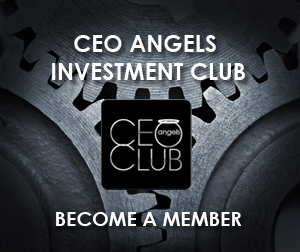 CEED was set up to get SMEs better positioned to receive investment and to scale. Today CEED has over 3000 annual member entrepreneurs and has reached over 30,000 companies in the last 10 years with support and services.